This is probably something a lot of blondes can relate to; you get your hair dyed a beautiful shade of blonde and a few weeks later you start to notice that no longer is your hair that lovely shade of blonde it once was but has become brassy with hints of yellow. 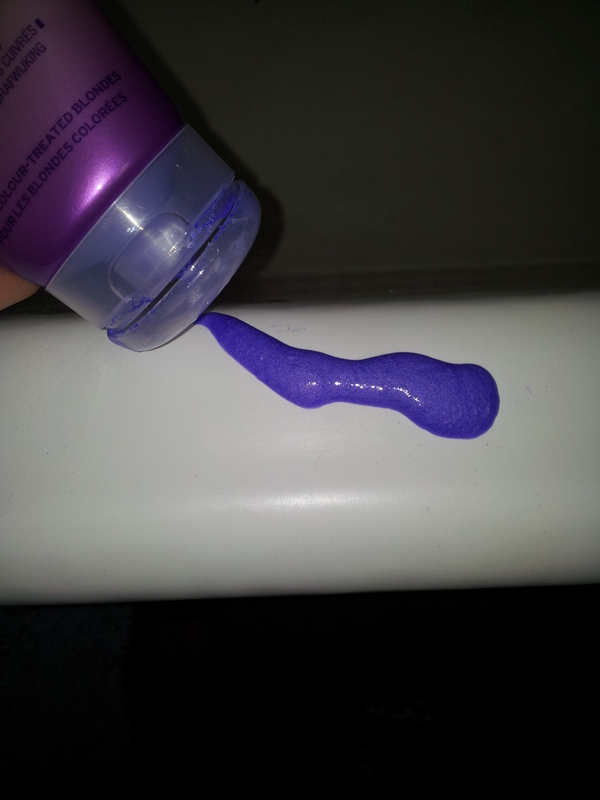 Now there are many ‘purple’ shampoos on the market, the tone correcting shampoos that are always bright purple in colour to try and correct it. As I found my hair was becoming a more brassy/yellow/gingery colour than blonde I decided to give a ‘purple’ shampoo a go. 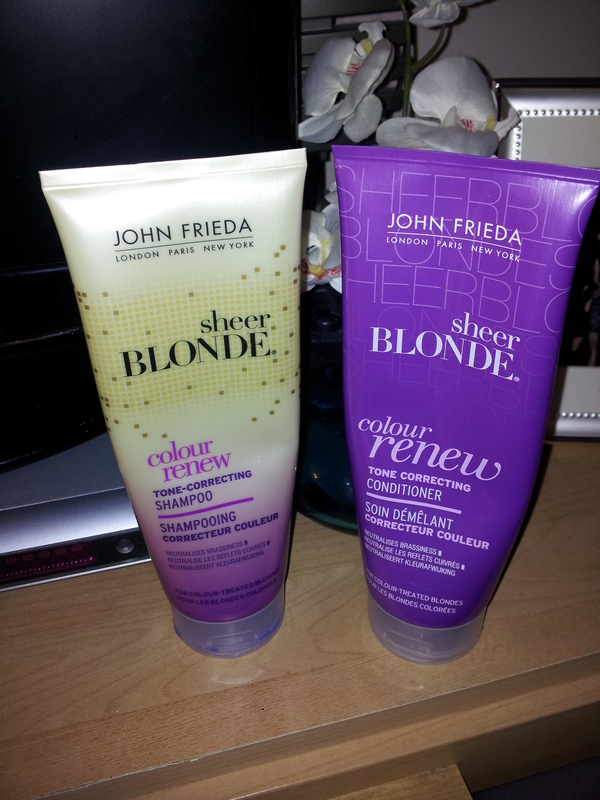 John Frieda, ‘Sheer Blonde, colour renew’ was on offer in Superdrug at £6 for the Shampoo and Conditioner together, and so I decided to give it a try. The Shampoo states that “with optical brightener and lavender, correcting formula counteracts unwanted yellow tones to neutralise brassiness and renew blonde colour.” There is only a small hint of a lavender smell to it, nevertheless the smell is a pleasant one and definitely not chemical- like. It is slightly concerning putting a bright purple shampoo and conditioner on your hair, but after the first wash my hair certainly felt more conditioned than before but there was indeed no colour change. After a few weeks of using the Sheer Blonde Shampoo and Conditioner there has been a small but noticeable change in my hair, unfortunately not enough of a change to see through photos but there is a less brassy and yellow tone to my hair. My hair does however feel quite dried out from using it, but this may be due to the fact that I have been probably over-using it. My hair is due for a re-colour and this time I will use the John Frieda shampoo and conditioner twice a week to try and maintain the colour, but without drying out my hair. I have noticed that the shampoo and conditioner is back to £5.89 a bottle in Superdrug and I am not entirely convinced at that price it is worth it.